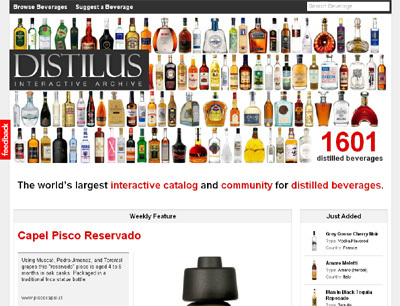 Distilus is an interactive catalogue dedicated to the preservation, promotion, and discovery of distilled alcoholic beverages. We have recently integrated a product locator tool which helps users discover and find pricing averages on known and rare spirits. We are the only such page dedicated to the preservation, promotion, and discovery of distilled alcoholic beverages. Our sole mission is to archive every known distilled spirit in the world.